Can't get to the Next button. Is there a way to pass a parameter to set the installer's screen resolution to 800 x 600? Change the resolution in the VM. You'll see the whole screen. I tried to change the resolution within the machine using Solus' displays resolution tool to no avail. In the view tab of Virtual Box under the Virtual screen menu all of the resolution settings are grayed out and thus unavailable. Older versions of Vitrual Box allowed users to scroll the screen inside the VM's window. Version 6.04, the latest version does not have this feature, so I am still stuck. The only other options I can try that will resolve the issue is to use VMWare Player or VMWare Workstation Pro. It's that or rolling back to an older version of Virtual Box. I would like to get it working in Virtual Box 6.0.4 if possible. 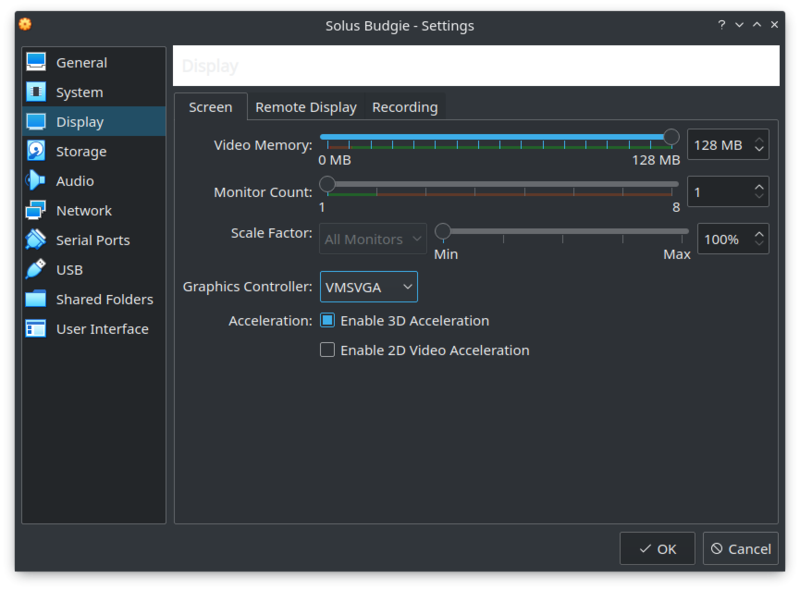 masters-george You have to change the resolution from within the VM: Type Displays in the Solus menu. I don't like this "new" graphic controller. It has lots of downsides and the only "added value" is that it brings opengl 2.1 (with very poor performance anyway). I had this issue recently too..and I dealt with it by stages, by choosing a higher res (but not as high as I wanted), then choosing again, etc...till I was able to choose the one I wanted. 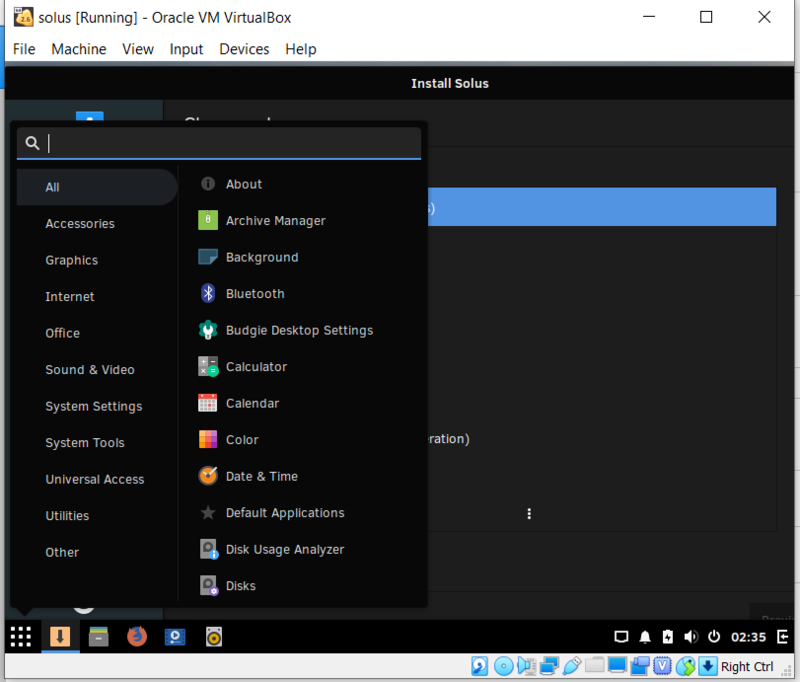 I was never able to get solus running on virtual box. I did successfully install it on VMware Workstation Player. The issue appears to be a glitch in Virtual Box 6.04 running on Windows 10. Virtualbox 6.04 is locked in a 800 x 600 mode and does not scale to support the solus installer as does VMware. While not a total solution, at least I can try solus and determine if it should be my daily driver. Choose a different Graphics Controller in the VirtualBox settings. This is what I use in Solus to run other Solus VMs and have access to higher resolution options.